Our Jimmy Clewes DVD collection just became a little larger, thanks to a donation by member Butch Harden. Butch has donated the Clewes 3 volume set, Turn it On, to our library. In this series, Jimmy takes us through a number of projects in detail, with great close-ups and point-of-view shots. 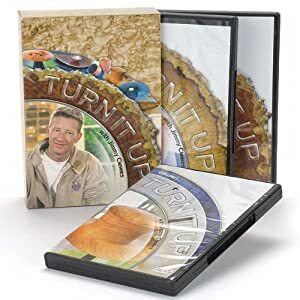 And, at the end of each video, youâ€™ll find an â€œExtra Featuresâ€ section, which focuses on varied and interesting subjects relevant to woodturning. Butch has also generously donated Brian McEvoyâ€™s Secrets to Woodburning, Airbrushing, Texturing & Piercing Embellishment. 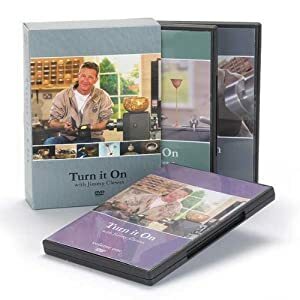 This 2-DVD set features over 4 hours of footage with four separate and complete projects showing Brian's tried and tested techniques in embellishing his turnings. This is the second acquisition in the "Secrets to..." series for the library, as Brian McEvoyâ€™s Secrets to Creating Two Piece Hollow Forms is also part of our inventory. Here Brian, along with co-host Gordon Langer, walks you through the process by providing clear, logical and easy to follow instructions, starting with a yellow block of raw wood right through to sanding and applying the finish. Brian freely reveals all his secret tips and special techniques. A photo gallery of his personal collection at the end of this volume will fuel the fire for artists looking to bring out the natural beauty in wood. Just a reminder that though some DVD series come as a set, library borrowing policy allows for a maximum of only 2 DVDs to be borrowed at one time. Also, cardboard slipcases which you may notice as housing for some DVD sets, do not leave the library.